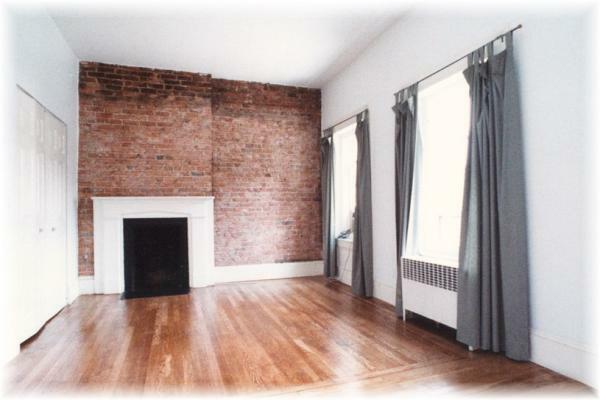 PROJECT DESCRIPTION: Entire third floor rebuilding in a brownstone - Complete gutting; all new, extensive electrical, plumbing & structural work; high ceiling in all rooms, skylights in bathroom, exposed bricks wall in two of the three bedrooms. 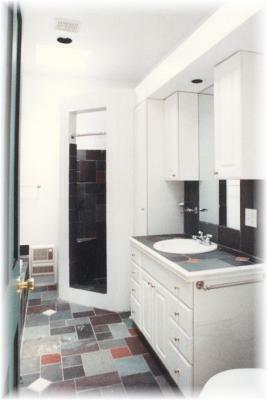 Bathroom: custom shower stall, slate tile vanity top, flooring & Whirlpool island; bathroom also accommodates enclosed, full size washer & dryer. "We we're extremely satisfied with the recent renovations consisting of an entire floor... Sylvain provided suggestion on our architect's initial draft which he [Sylvain] rendered on his laptop computer. We ended up using his drawings which provided better solutions. In short, his positive attitude contributed to a smooth renovation project and I enthusiastically recommend him."